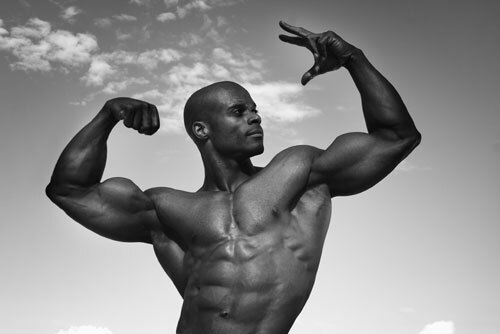 I have just read your excellent Wingspan Workouts article on Bodybuilding.com. How many times per week would you recommend using any one of these four back workouts? My Answer: You have 2 options. You can either rotate through all 4 workouts within a 2 week period. Whereas any of the Wingspan Workouts will widen your back, back thickening workouts will do just that: thicken your back. Back widening workouts consist of pull-ups, chin-ups and pulldowns. Back thickening workouts consists of rowing movements. Tactics and Strategies has a chapter on back thickening. Q: I am going to start training with your suggestion from Book Two: Building a Bigger Engine. I see that you indicate to do it 3 times a week. Is that all the training in a week and no specialization? And how long would you suggest training that program? Then, where do I take it from there? 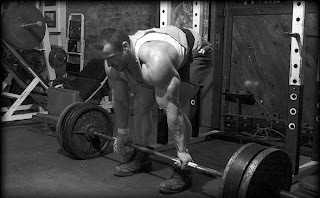 The Hypertrophy Training for Ectomorphs? My Answer: I was very specific about what to do. Follow the Building a Bigger Engine program a 3-4 weeks. Then switch to the Neo-Classical workouts. There is no specialization with the Building a Bigger Engine program. If you want to specialize on a body part, then choose one of the specialization programs in Neo-Classical Bodybuilding and do that after the main Neo-Classical program. You should not be doing the Hypertrophy Training for Ectomorphs program, because you need to focus on fat loss, not muscle gain. You have to prioritize your training, and that means focusing and accomplishing one goal at a time. I am into book two and now wondering about training. You have many different programs to try. I did take down and put into an excel the hypertrophy routine you put in the book. Before I jump on in and try it out is this the one for me that you would suggest. Just a refresher. I am 40 and 210 just have some belly fat but have been training 5 -6 days a week for about 5 months consistently. So, if you could give me your thoughts it would be appreciated. My Answer:Neo-Classical Bodybuilding has a chapter on Strength training for fat loss, so I suggest you follow that program for a few weeks to break you in for the Neo-Classical workouts. Although the Neo-Classical workouts were not meant specifically for fat loss, they are tough to do. If you watch your diet, then you should get ripped on the program. So bottom line: follow the Building a Bigger Engine program for a few weeks, then switch to the Neo-Classical Bodybuilding workouts. Q: Hey James, I'm a big fan of your Hypertrophy for Ectomorphs training routine and have got good gains using it. I'm at the stage now where I want to drop some body fat. I wanted your opinion on what would be a good cutting workout for me, as I don't really want to go back to using a split routine. 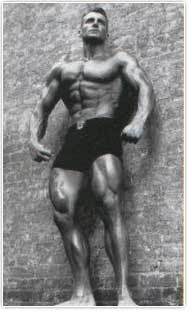 My Answer: Of the 7 strength training strategies for fat loss found in Volume One, I am most fond of the 8x8 routine. In fact I just went through the 8x8 routine a few weeks ago. It's a great total body program that gives you a combination of fat loss, muscularity and improved conditioning. Lately I've been experimenting with extremely short periods (15-30 seconds) coupled with higher reps (8-10) and light weight. 41 is just around the corner, and I'm starting to feel the wear and tear on my body from years of training and demanding work. Q: I have been looking for a routine in the weight room to shock my lats. I am a master swim club member and go to the gym daily as well as the pool. I [have] a streamlined body type, but have been consistently building lean mass in order to 1) feel good about not being the skinny guy and 2) getting faster in the pool. 1. With your article, are you suggesting doing all those workouts in one sessions? Or splitting them up so you do a different one every week in a rotation? Or choosing one to do in a workout rotation for several weeks, then another for another rotation of several weeks. 2. What workout would you suggest to couple with your back workouts, as far as chest in order to keep everything equal. Thank you. You wrote a great article, and I am interested in any more suggestions you would have. Q: I recently purchased Strength and Physique: The Articles and love it! I can't believe what a few tweaks to my workout has done. Do you plan on releasing the other books as e-books? It's great to have it with me on my e-reader. My Answer: Glad the book helped you out. 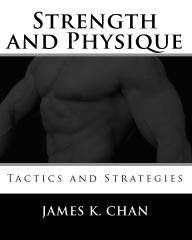 Tactics and Strategies is also available on the Kindle Reader as an E-book, so check that out when you get a chance. Neo-Classical Bodybuilding and Training for the Busy Bodybuilder are not available as E-books, but that may change. I'll keep you guys posted. Q: I want to thank you for your articles on Bodybuilding.com. They have been a big help in developing the body I've always wanted. With your tips on Wingspan Workouts, I'm having difficulty due to my forearms failing before I feel a burn in my back muscles. Is there anyway to overcome this problem, or should I persevere with the expectation my forearms will adjust over time? Any help you can provide will be greatly appreciated.